Hitler’s antisemitism. Why did he hate the Jews? Antisemitism played a major role in Adolf Hitler’s thinking and in the Nazi ideology. Read here what inspired Hitler's hatred of Jews and what life events played a role in its development. Hitler did not invent the hatred of Jews. Jews in Europe had been victims of discrimination and persecution since the Middle Ages, often for religious reasons. Christians saw the Jewish faith as an aberration that had to be quashed. Jews were sometimes forced to convert or they were not allowed to practise certain professions. In the nineteenth century, religion played a less important role. It was replaced by theories about the differences between races and peoples. The idea that Jews belonged to a different people than the Germans, for instance, caught on. Even Jews who had converted to Christianity were still 'different' because of their bloodline. 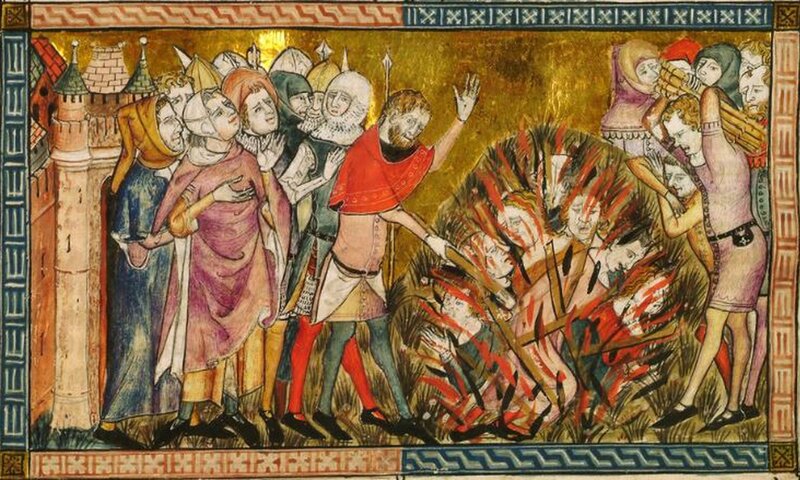 Picture of a burning of Jews (around 1353). Jews are blamed for the plague epidemic in Europe and accused of poisoning the wells. The origin of Hitler's hatred of Jews is not clear. In Mein Kampf, he described his development into an antisemite as the result of a long, personal struggle. Supposedly, his aversion to everything Jewish came to fruition when he was living and working as a painter in Vienna (1908-1913). Most historians believe that Hitler came up with this explanation in hindsight. He would have used it to assure people who were not yet convinced of his ideas that they would eventually see the light. There are countless imaginative explanations for the reasons for Hitler's antisemitism. Hitler is said to be have been ashamed of his partly Jewish roots. Another explanation links his hatred of Jews to trauma caused by a poison gas attack in the First World War. Yet other theories suggest that Hitler had contracted a venereal disease from a Jewish prostitute. There are, however, no facts to support these explanations. What we do know is that two Austrian politicians greatly influenced Hitler's thinking. The first, Georg Ritter von Schönerer (1842-1921), was a German nationalist. He believed that the German-speaking regions of Austria-Hungary should be added to the German empire. He also felt that Jews could never be fully-fledged German citizens. 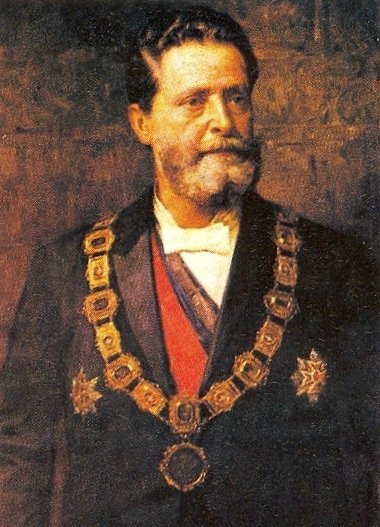 From the second, the Viennese mayor Karl Lueger (1844-1910), Hitler learned how antisemitism and social reforms could be successful. In Mein Kampf, Hitler praised Lueger as 'the greatest German mayor of all times'.﻿ When Hitler came to power in 1933, he put similar ideas into practice. Portrait of Karl Lueger (around 1900), mayor of Vienna. He uses antisemitism as a political strategy. The First World War played a decisive role in Hitler’s life. It gave his life, which had been rather unsuccessful up until then, a new purpose. In 1914, he enlisted in the German army, which, together with the Austro-Hungarian Empire, was fighting France, England, and Russia. Although he saw little action, he did receive an award for courage shown. German soldiers during the First World War. 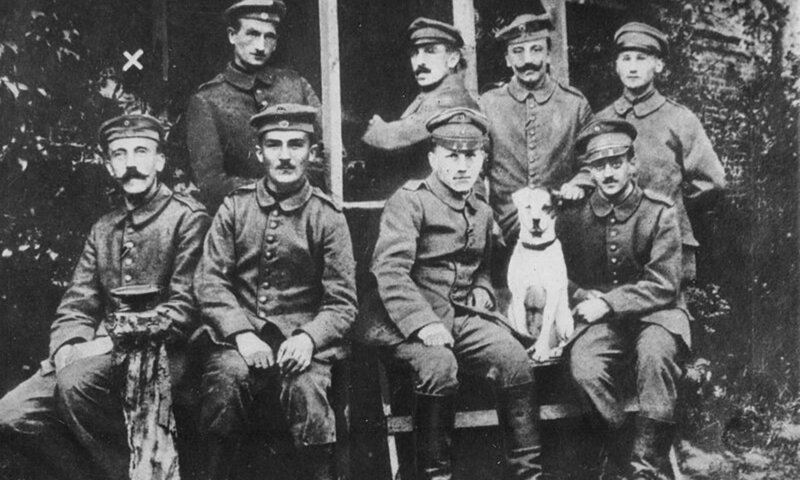 At the far left: Hitler as a young soldier (around 1914). The German defeat was hard to swallow for many Germans, and for Hitler, too. In nationalist and right-wing conservative circles, the ‘stab-in-the-back legend’ became popular. According to this myth, Germany did not lose the war on the battlefield, but through betrayal at the home front. 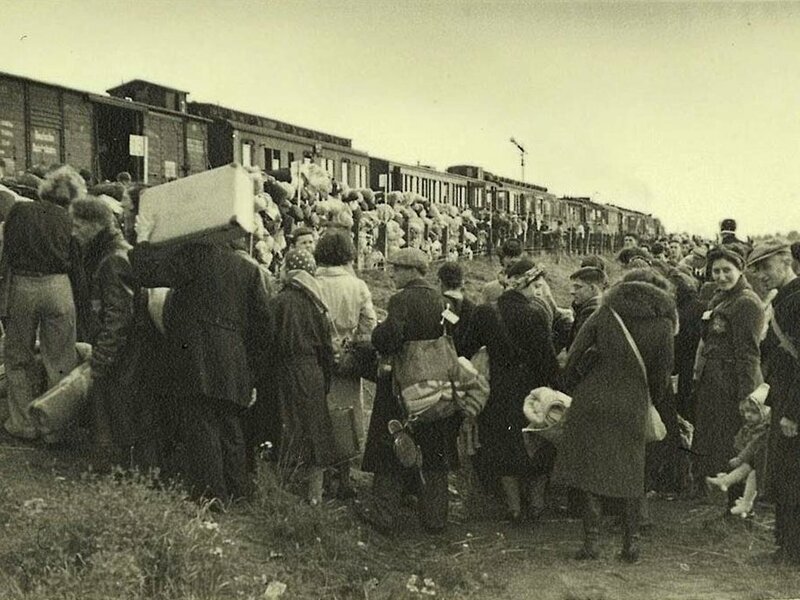 The Jews, Social Democrats, and Communists were held responsible. The prejudices about the role of the Jews in the war were false. 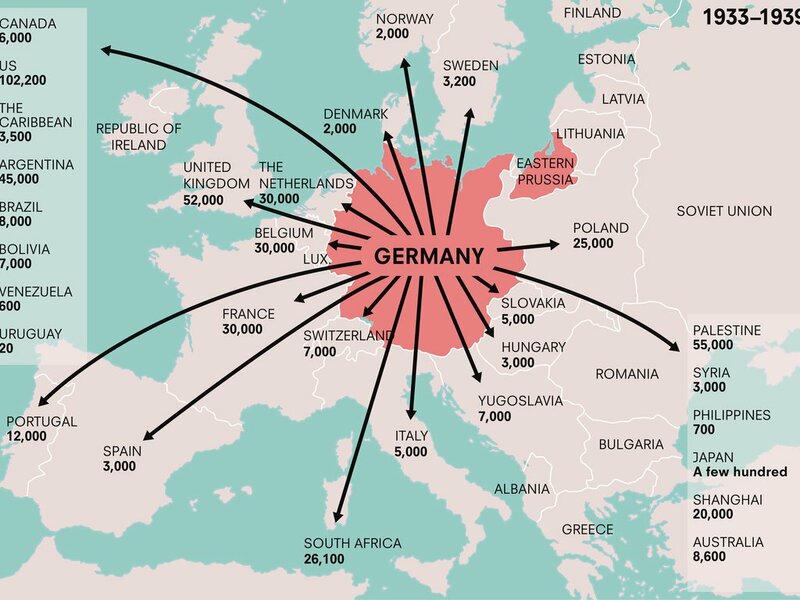 An investigation carried out by the German Government proved as much. Over one hundred thousand German and Austrian Jews had fought for their fatherland.﻿ Otto Frank, who had fought in the Battle of the Somme in 1916, was just one of them. After the First World War, Germany was in chaos. Once the German emperor had gone, rebellions erupted everywhere. Left-wing groups tried to seize power in many places. In Munich, for instance, a 'People's Republic' of Bavaria was proclaimed during a brief revolution. It provoked a right-wing reaction, which in turn resulted in bloodshed. Hitler was very much impressed by these events. At that point, he was still in the army, and that was where he discovered his oratory talents. Before long, the army had him give training courses, intended to warn soldiers of the communist danger and to stir up feelings of nationalism. 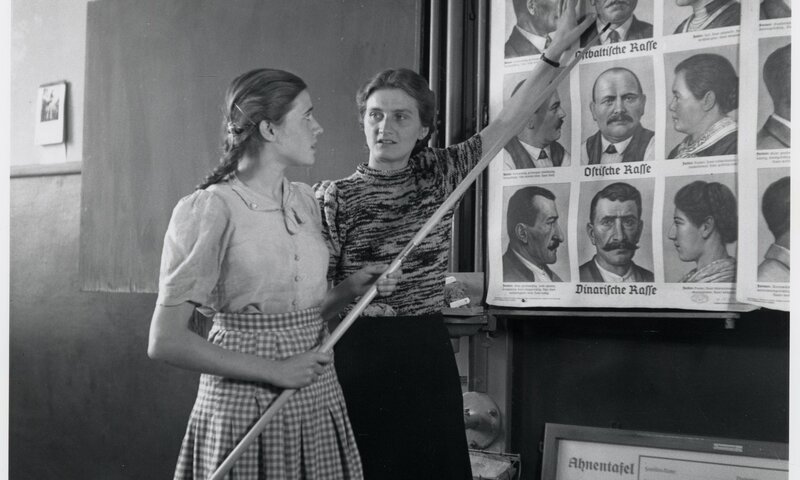 In his new role, Hitler got to know the German Workers' Party, the forerunner of the NSDAP. It was the start of his political career. Against the backdrop of revolution and violence, Hitler's antisemitism was becoming increasingly radical. It is noteworthy that he said he did not support uncontrolled 'emotional' pogroms (outbursts of anti-Jewish violence). Instead, he argued for an ‘antisemitism of the mind'.﻿ It had to be legal and would ultimately lead to the 'removal' of the Jews. As early as August 1920, Hitler compared the Jews to germs. He stated that diseases cannot be controlled unless you destroy their causes. The influence of the Jews would never disappear without removing its cause, the Jew, from our midst, he said. These radical ideas paved the way for the mass murder of the Jews in the 1940s. Capitalism and communism: a Jewish conspiracy? Hitler blamed the Jews for everything that was wrong with the world. Germany was weak and in decline due to the 'Jewish influence'. According to Hitler, the Jews were after world dominance. And they would not hesitate to use all possible means, including capitalism. In this way, Hitler took advantage of the existing prejudice that linked the Jews to monetary power and financial gain. Hitler was not bothered by the apparent contradictions in his thinking. He held that communism was a Jewish conspiracy, too, as the larger part of the communist leaders were Jewish. Nevertheless, only a small proportion of the Jews were communists. This idea of 'Jewish communism' was to have awful repercussions in the war with the Soviet Union that started in 1941. The population and prisoners-of-war were treated brutally by the Germans. Hitler viewed the world as an arena for the permanent struggle between peoples. He divided the world population into high and low races. The Germans belonged to the high peoples and the Jews to the low ones. He also had specific notions about other peoples. The Slavic people, for instance, were cast as inferior, predestined to be dominated. Hitler felt that the German people could only be strong if they were 'pure'. As a consequence, people with hereditary diseases were considered harmful. These included people with physical or mental disabilities, as well as alcoholics and 'incorrigible' criminals. Once the Nazis had come to power, these ideas led to the forced sterilisation and killing of human beings. During the Nazi dictatorship, German children are taught about the 'racial doctrine' and the superiority of the Aryan race. Photograph from 1943. The ideas that Hitler developed in the 1920s remained more or less the same until his death in 1945. What did change is that in 1933, he was handed the power to start realising them. During the 1930s, he did everything he could to expel the Jews from German society. Once the war had started, the Nazis resorted to mass murder. Nearly six million Jews were murdered during the Holocaust. Evans, Richard J., The Coming of the Third Reich (New York: The Penguin Press, 2004). Hamann, Brigitte, Hitler’s Vienna: A Portrait of the Tyrant as a Young Man (New York, NY & Oxford: Oxford University Press, 1999). Ullrich, Volker, Hitler. Vol. 1: Ascent, 1889-1939 (New York, NY: Alfred A. Knopf, 2016). Adolf Hitler, Mein Kampf (English translation, Boston 1971) p. 55. Adolf Hitler, Mein Kampf, p. 204. "Antisemitismus de Vernunft". In: Adolf Hitler, Gutachten über den Antisemitismus (1919) erstellt im Auftrag seiner militärischen Vorgesetzten’. Included in: Maser, Werner, Hitlers Briefe und Notizen (Düsseldorf 1973).